← Equipment options for walking the unruly dog. 10 things every spoiled rotten dog should have. Last month we looked at some of the best ways to care for and enrich your cat’s environment, so this month we are looking at some of the best ways to spoil our dogs rotten. 1. Care Credit. Care Credit is a credit card specifically geared toward healthcare (yours and your pet’s- I’ve used mine at my dentist’s office). It is easier to get than a regular credit card and allows you six months interest free to pay off a balance of over $200. Make sure that you read the fine print- if you miss a payment or do not pay off the balance within the allotted time, you will be responsible for all that interest. But this can be a great tool in an emergency to buy you some time to get funds together and not have to take the entire hit at once. And goodness knows, with all the goofy things that dogs do (and eat!) having an extra payment option available can never hurt. 2. A well-fitted, sturdy collar with readable tags. This is your dog’s first line of defense from getting lost forever. A well-fitted collar that the dog cannot pull out of, kept in good repair, and hung with a legible tag with your contact information on it is the best chance of getting your dog home. Rabies tags and dog licenses are also tools to identify and get a dog returned to his family, but they require an extra step and the availability of extra people- either animal control or your local veterinarian’s office. A good nametag with your phone number clearly printed on it is your dog’s best bet to get home quickly. 3. A microchip. If your dog’s first line of identification– his collar and tags– fails, a microchip can still get your dog back to you. Shelters, veterinarians, and many police officers have scanners, and as long as your pet’s microchip is REGISTERED and has ACCURATE INFORMATION attached to it, he has a good chance of getting back to you. When we microchip pets at White Oaks, we automatically go ahead and register them for you with the information you provide, so that there are no worries that it is done. A microchip will also allow you to get a lifetime license for your dog- you pay one time and don’t have to worry about it ever again. Bully sticks make for good chewing and are fully digestible. 4. Things to Chew. Most dogs love to chew. It keeps them occupied, it helps them to destress, and appropriate chew toys can be a great way for them to clean their teeth. Dog chews are available in everything from plastic Nylabones in a variety of shapes, textures, and even flavors (I get a kick out of the dinosaur ones); to dried meat and smoked hooves; to real marrow bones from the butcher; to antlers. You want to pick a size and hardness appropriate to your dog. A small dog will usually require a smaller, maybe even softer chew toy, whereas a small chew toy is dangerous for a big dog who could swallow it whole and risk having it lodge in his throat, stomach, or intestines, requiring emergency medical attention. Rawhides can be a good choice or a bad choice, depending on your dog. 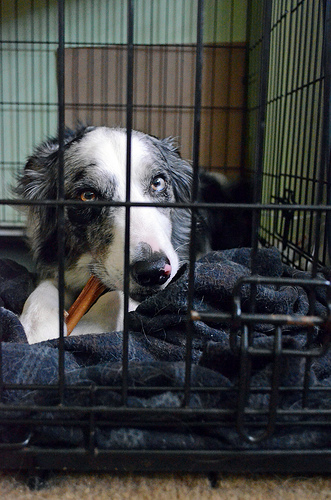 For dogs who are thorough chewers, they can be a good choice. For dogs who inhale treats whole, they are a bad choice because, again, they can get stuck. If you do feed rawhides, make sure the ones you buy are made in America, not just packaged in America. Chinese-made rawhides have shown up with some pretty scary chemicals on them. Cooked bones, on the other hand, are never a good choice. Cooked (including smoked) bones have a high tendency to splinter, and those spinters can wreak havoc in your dog’s mouth and in his gut. This means no cooked bones from your kitchen, no turkey carcass, no hambones, no steak bones. It’s just not worth the risk. 5. Toys to chase. Fetch is a great game to play with your dog. Many of them love it, and it is terrific exercise. 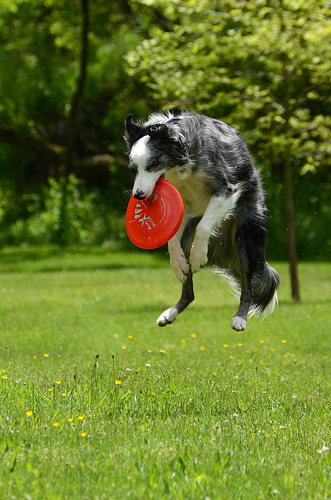 Whether it is a frisbee, a ball, or any of the wide variety of toys available for fetch games, time spent playing with your dog is good for him and good for you as well. Dogs who do not naturally fetch can be taught to do so. Some dogs love to retrieve in water, and that is even better exercise for them if you have a safe swimming hole available. But chasing can come in other forms, too. Many dogs like a toy referred to as a flirt pole. This pretty much amounts to a giant cat toy for dogs. A rope run through a long piece of PCV pipe that acts as a handle with a fun chase-able toy on the end. It’s like a giant fishing rod, basically, and a lot of dogs go crazy for it (especially terriers and herding breeds). It allows you to exercise a dog in a relatively small space without having to exert yourself very much. This game should not be played with dogs who have joint issues or who do not know how to release a toy that they’ve grabbed onto, but it is also a terrific way to teach self-control (wait to chase the toy until told, lie down and stay to make the game start). So. Much. Fun. 6. A cozy bed. There is a huge variety of dog beds available for purchase, ranging from cheap to ridiculously expensive. They come in soft and cushy, firm, orthopedic, even heated. Or, you know. The couch and your bed work too, depending on your preferences. But older dogs especially tend to enjoy a soft place to park their bones, and it is easier on their bodies to have something cushioned and soft. Stuffed Kongs make dogs happy. 7. Food-dispensing toys. Food-dispensing toys are a great way to occupy your dog’s mind, as well as to slow down his eating. There are two basic types of food-dispensing toys available- toys that dogs have to work to unstuff (Kong), and toys that dogs have to push, shove, bat around, or otherwise manipulate to cause the food to come out (Kong Wobbler, Buster Cube, Tricky Treat Ball, Tug-a-Jug). The right toy to choose is the one your dog likes. Kongs are great because they can be pre-stuffed with tasty snacks and frozen for a time when you need your dog to take a break and do something quiet. And they can be stuffed with all kinds of different foods! Think outside the box! Yogurt works great, small amounts of peanut butter, canned food, fruits and veggies, kibble soaked in broth- anything that is soft and will freeze well. You can also stuff large, hard-to-remove treats like biscuits into Kongs that the dog will have to work and manipulate to get out, but some dogs are easily frustrated by this and give up quickly. Dogs need to eat, and most dogs love to eat. Using that most basic drive as a way to exercise your dog’s brain is a simple way to enrich his life. 8. A warm jacket when it’s cold outside. Many dogs don’t mind the cold, but some breeds and some individual dogs are, well, delicate flowers and appreciate protection from the cold. Dogs with smooth, sleek coats like Dobermans, Whippets, and even Boxers and pit bulls tend to be more bothered by low temperatures. Smaller dogs are also more likely to mind the cold, in part because they have a smaller body mass, but also because their bodies are closer to the snow on the ground. Like with beds, there are an endless array available. Simple tshirts and sweaters, fleece jackets such as Fido Fleece, and more expensive outwear such as Hurtta, Foggy Mountain, and Ruffwear. And if you are handy with a tape-measure and a sewing machine, there are so many adorable fleece prints available to make your own snuggly jackets. Puppy class is so much fun! 9. Training Classes. Training classes are a great way to bond with your dog and learn how to teach him what you want from him. 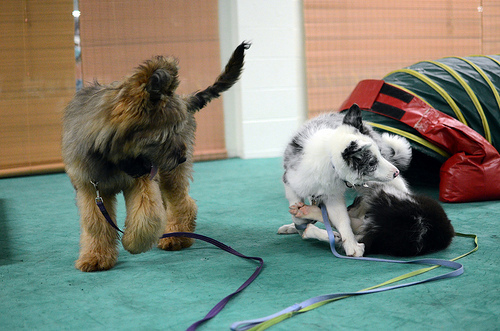 Puppy class is especially important and FUN! but it is never too late to join a class. And there are more than just obedience sit, down, stay, come, walk on a leash classes out there. Dog sports are exploding, and there is something out there for every dog. 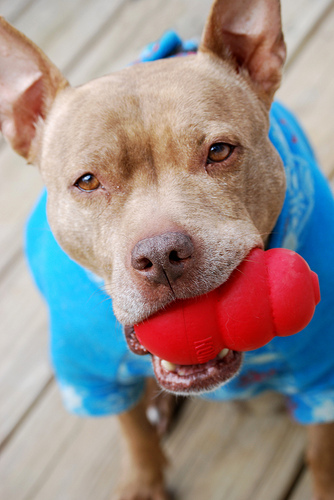 Does your dog love to play ball? Maybe check out flyball classes. Enjoy running and jumping and climbing? Agility might be a good match for you. Does your dog love to sniff? Nosework classes are a lot of fun for dogs. There are classes for teaching tricks, there are classes for teaching manners, there are classes for learning to dance with your dog. Heck, I’ve even seen classes that combine yoga with dogs (dubbed “Doga”). There are a number of training schools around- take a look to see if there is something out there that sounds like fun to you. 10. Daily Exercise and Enrichment. As the saying goes, a tired dog is a good dog. Our dogs, even older ones, need daily exercise and enrichment in their lives to keep them happy, healthy, and fit. A walk around town to let your pup sniff all the smells, a hike in the woods, a good game of fetch or hide and seek, or ten minutes training a new trick are all options that help give your dog what he needs. Continued mental stimulation is important in young dogs to help tire out their brains so they are less likely to make up their own fun games that you won’t like so much, and it is important into the golden years to help your dog maintain her capabilities. Use your imagination, think outside the box, and above all- have fun with your furry friend. After all, that’s why we have them!